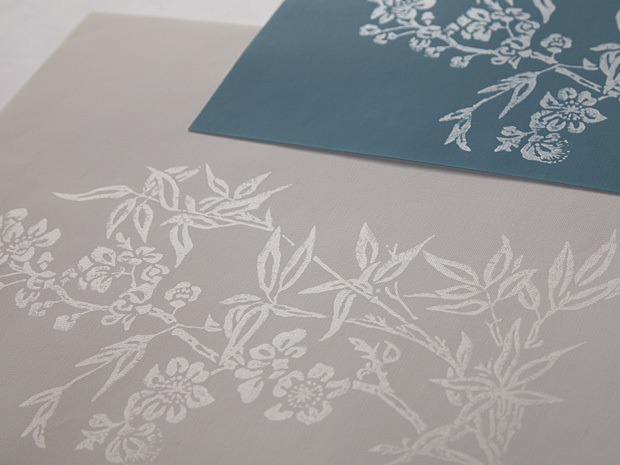 Most of ryōshi used for classic works of calligraphy are white printed paper (karakami) with pattern of oleanders. Some of them have colors of indigo blue and brown. The feature of this ryōshi is that they have clear texture.